Vandretur med utsikt til Reineskarvet, Ål i Hallingdal. Pack your rucksack and get out! Bring your hiking shoes and map along marked routes, on summits towards Hallingskarvet national park or through powerful nature in the high mountains. 10 favourite hiking tips in Ål gives you unforgettable summer memories. Choose a hike in one of our most popular hiking areas or buy a punch card and gather 10 favorite hikes to get an Ål52 mug. Hiking in front of Reineskarvet in Ål in Hallingdal. 10 selected hikes with map and tour description. On every hike, you find a post box with a guest book. In each book, it will be drawn one lucky winner of a gift card from Ål. Remember to # your hiking pictures with aal52. 10 favorite hikes in Ål, Rødungshovda. 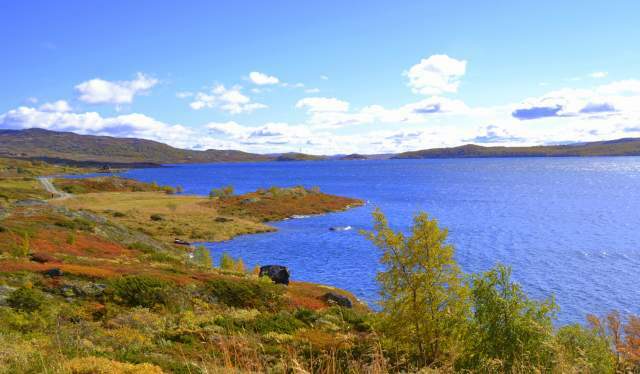 In Ål there are over 50 organized hiking tours with detailed description and map. Most of the hikes are well marked and on most of the tours, there is a cultural memory. These are measured in different difficulty. Easier hikes for the family and longer hikes for the mountain goat. Great hiking trails as long as the eye can see high up in the mountain, in the woods or close to the center of Ål. Hiking in beautiful and powerful nature, feels good for body and soul and gives you recreation and good memories. 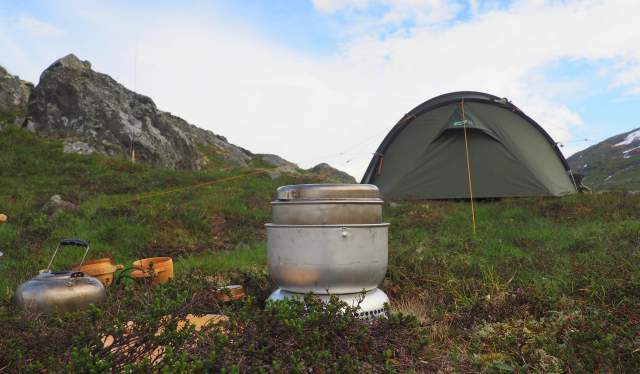 Camping near the lake in the mountains of Ål in Hallingdal. Outdoor recreation is an important part of our cultural heritage in Norway. Since ancient times we have had the right to access to the unfenced countryside – based on trust, consideration for the environment, for farmers and the landowners. Leave the nature the way you would like to find it. We are allowed to harvest nature’s bounty – which means not only saltwater fish, berries, mushrooms and wildflowers, but also our sensory impressions of the whole outdoor experience. You can read more about what the right of access means in practice here.